We invented "Virtual" Patching, and currently publish over 10,000 Just In Time Patches used by thousands of customers worldwide. Tired of endless PCI testing and retesting? Want to be PCI compliant reliably and quickly? Prometheus Group can help. Contact us today. Prometheus Global has assembled an outstanding team of developers to bring you the latest in Information Security technologies. We are committed in being a leader in the latest generation of Web Application Security and Anti-Spam technologies. Under our Atomicorp brand, we look to 2011 as a breakthrough year for our products, which are already being enjoyed by hundreds of customers worldwide, including the Federal Government. 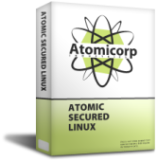 Atomic Secured Linux is a Unified Threat Management Suite for Linux. It is designed to mitigate software vulnerabilities in web application hosting environments. Greenbone Security Manager is a dedicated Vulnerability Management security appliance. It integrates transparently into your vulnerability and threat management system.